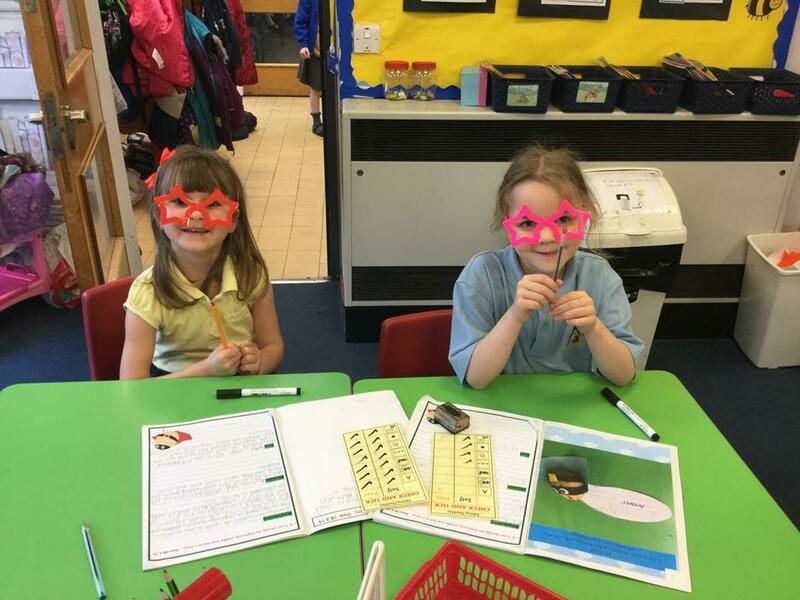 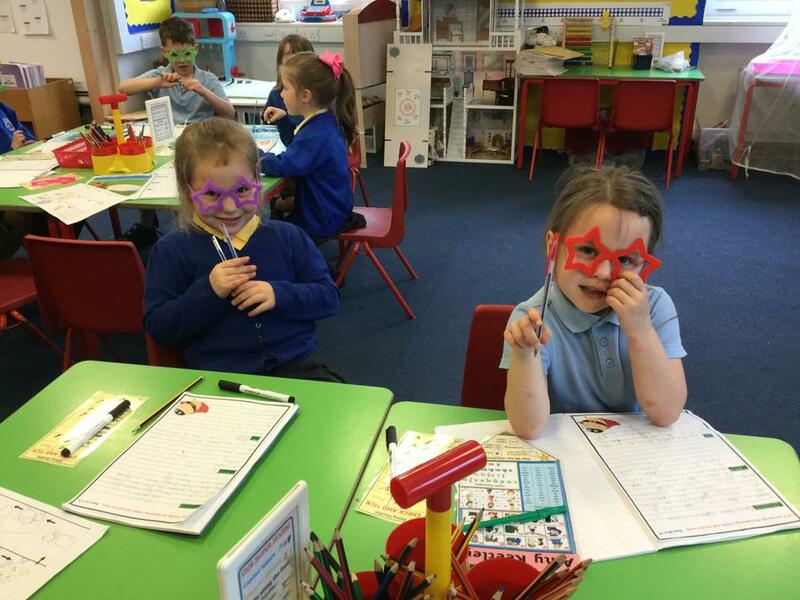 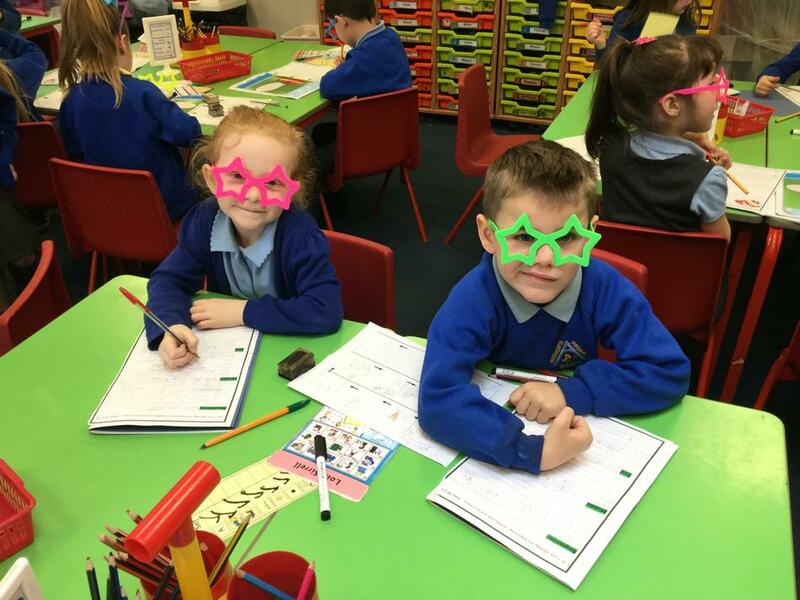 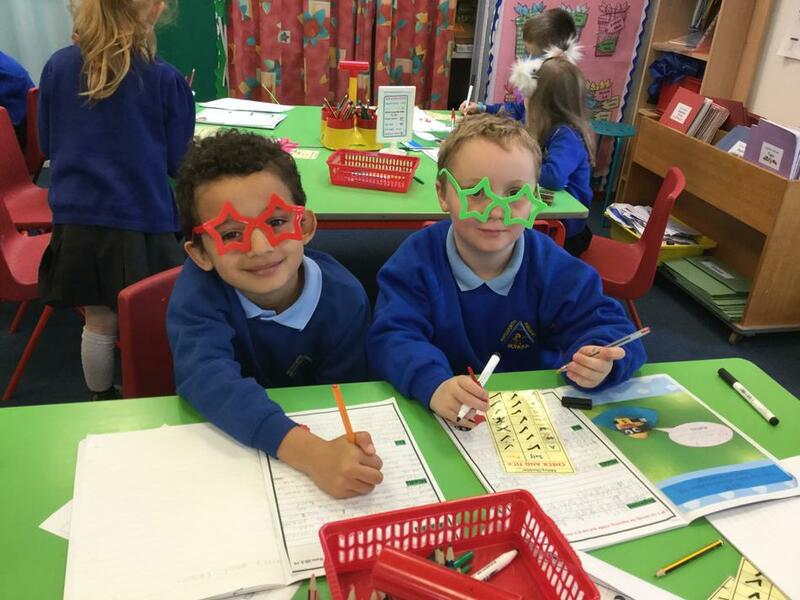 Today we used our magic editing glasses to check, edit and improve our written work. 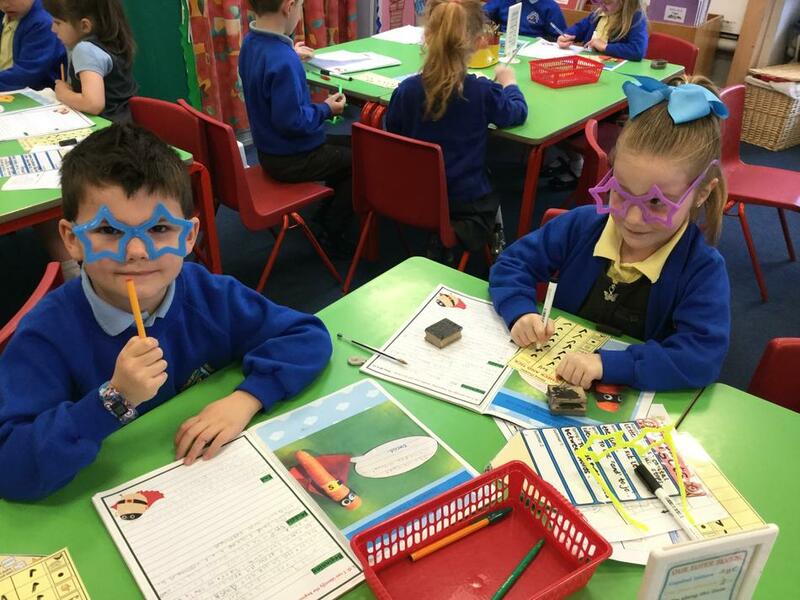 We followed the advice of the author, Julia Jarman who told us her writing is checked SIX times before it is published. 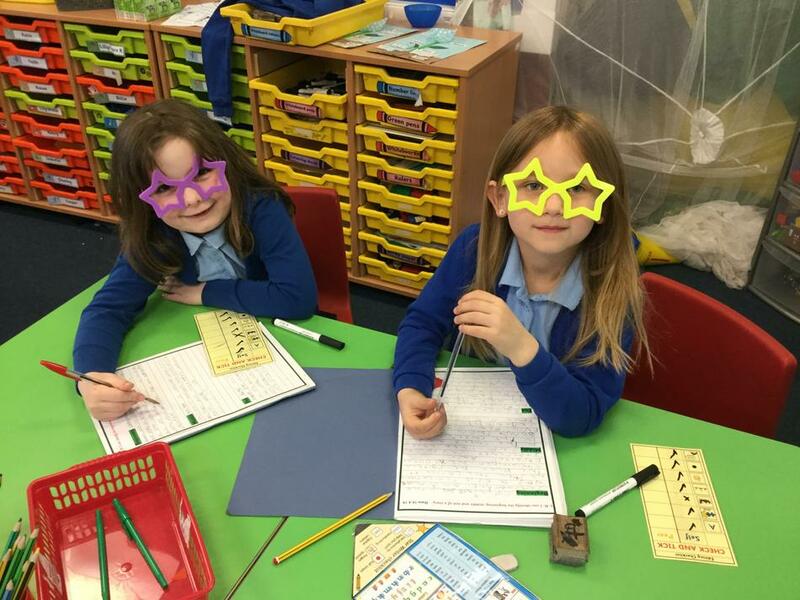 We worked together with our editing buddies, using our 'Editing Checklists' to ensure our writing was of the very highest standard. 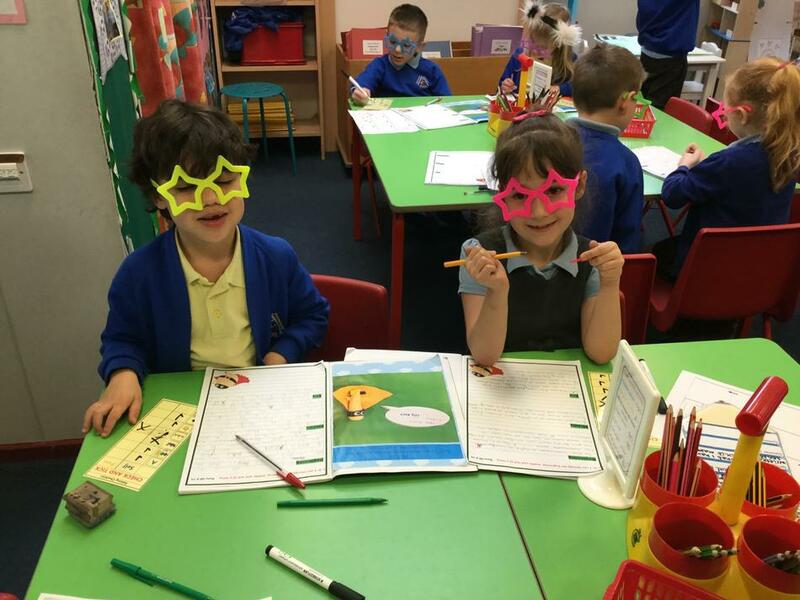 Well done Year Ones - you are editing superstars! 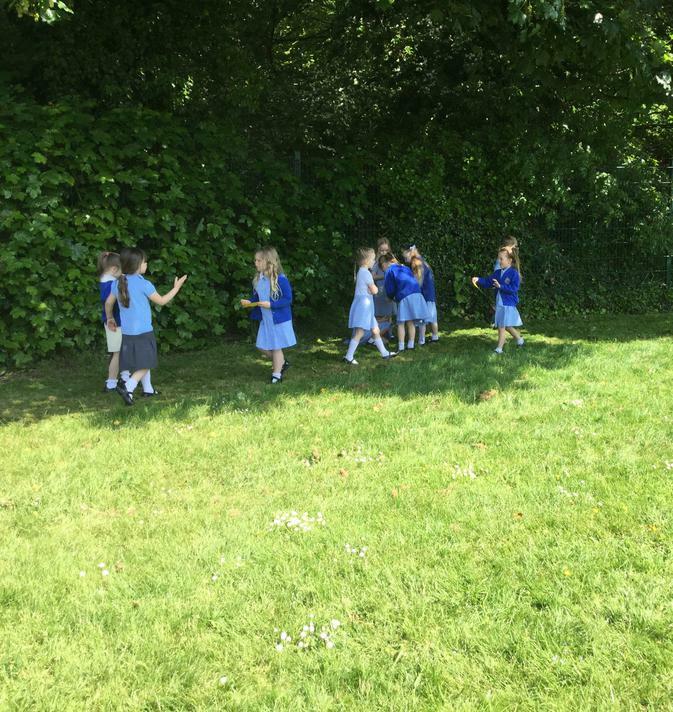 This morning, somebody had dropped Jack and the Beanstalk story cards ALL over the field and the wind had blown them EVERYWHERE. 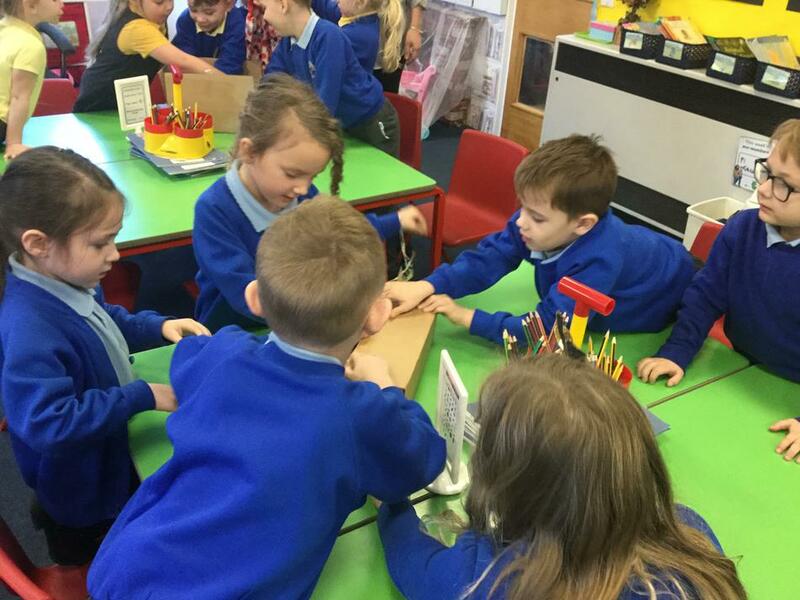 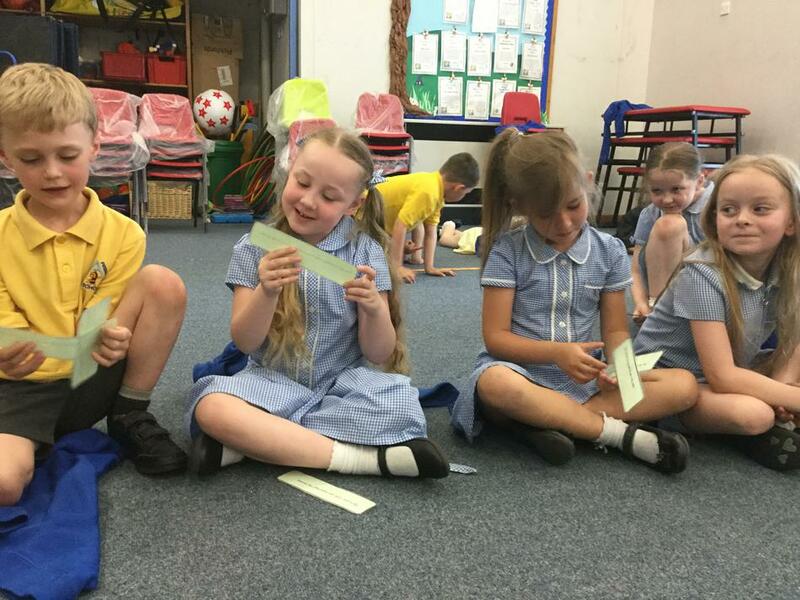 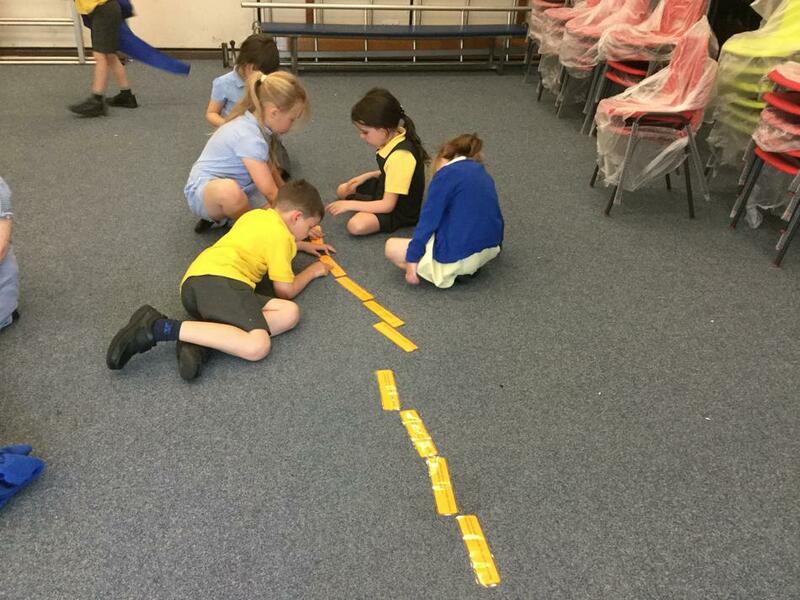 The fantastic Year 1 children had the job of searching for the cards and then re-ordering them so the story of Jack and the Beanstalk made sense. 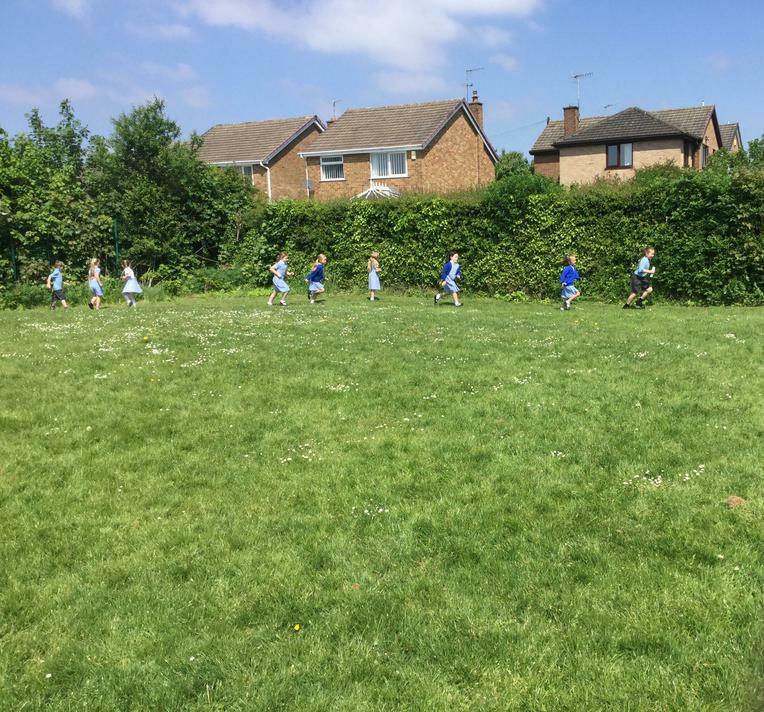 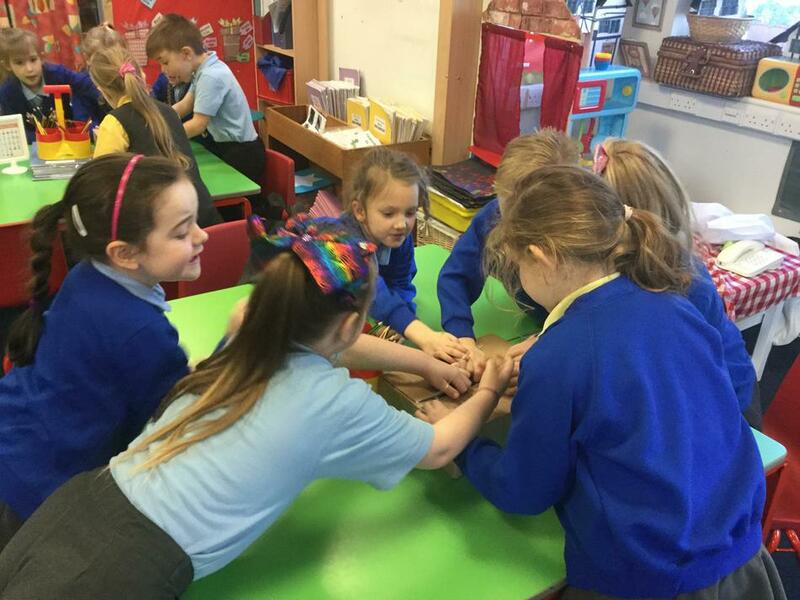 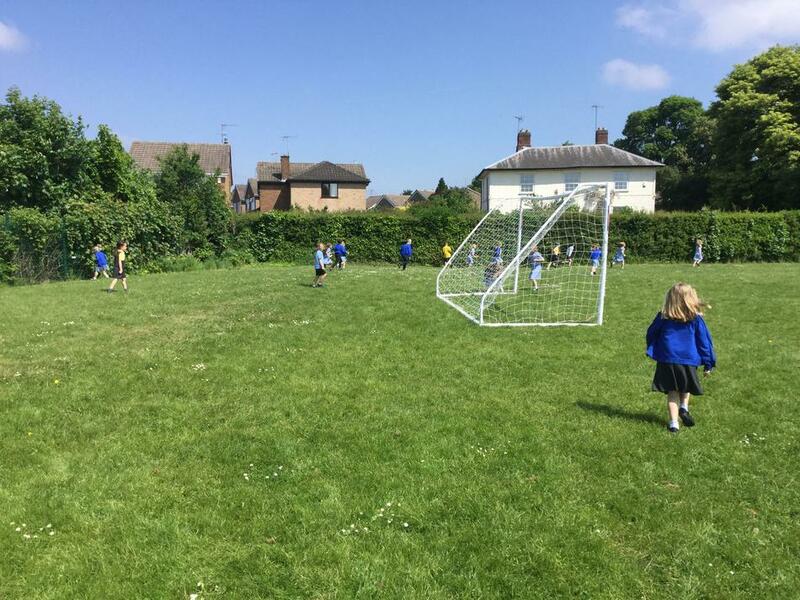 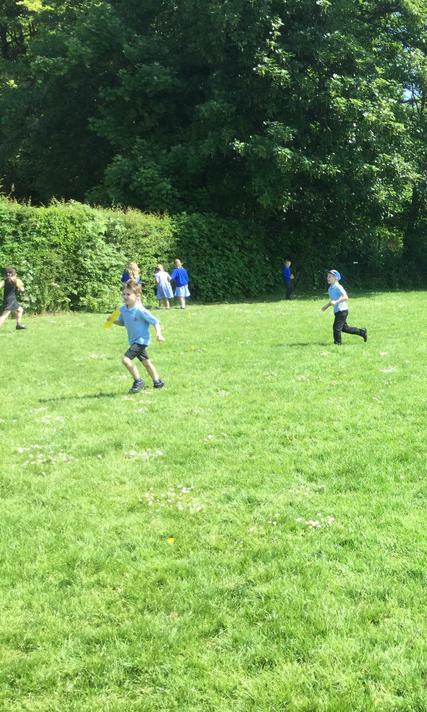 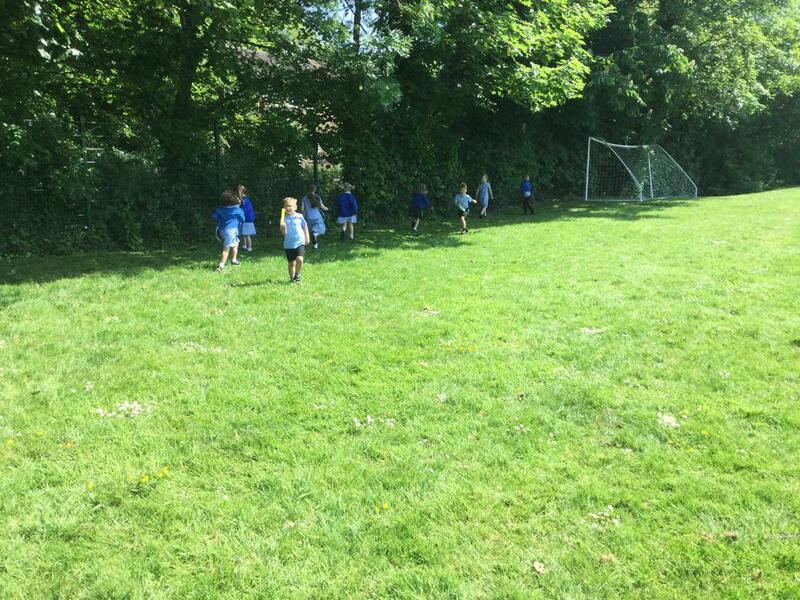 Luckily, the Year 1s are great at working as a team and even better at reading! 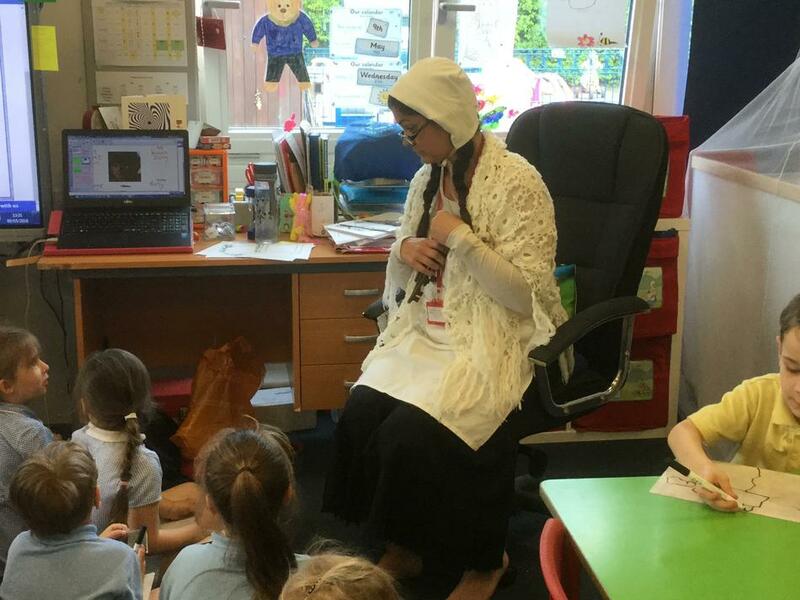 This week we had a visitor to our English lesson! 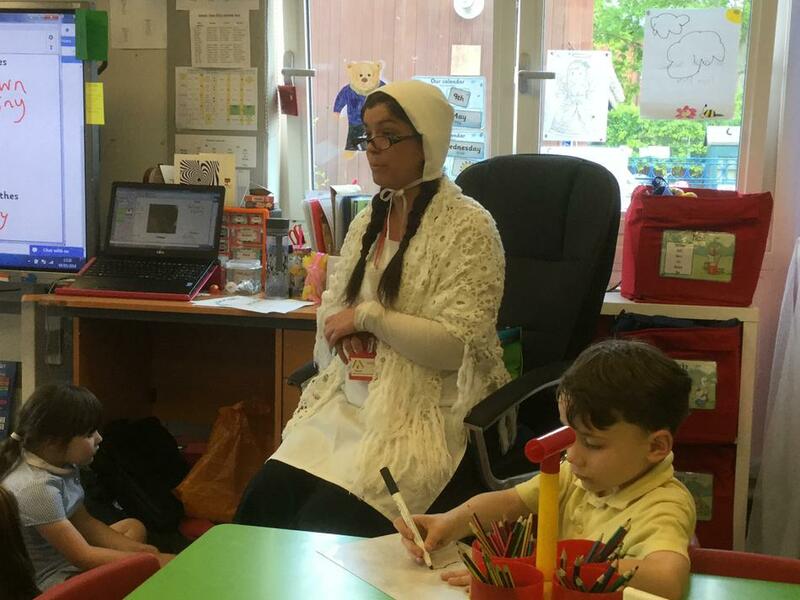 It was Jack's mother, Mary. 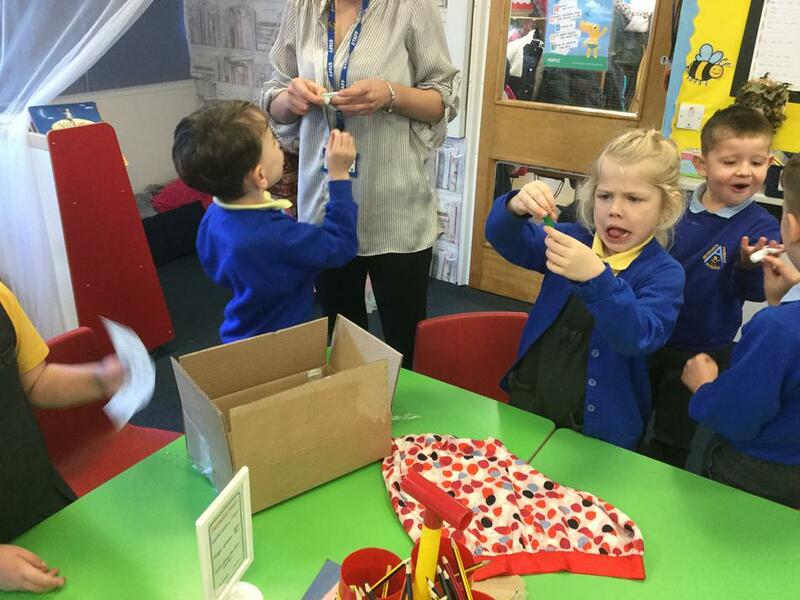 She was very distraught and worried as Jack had gone missing. 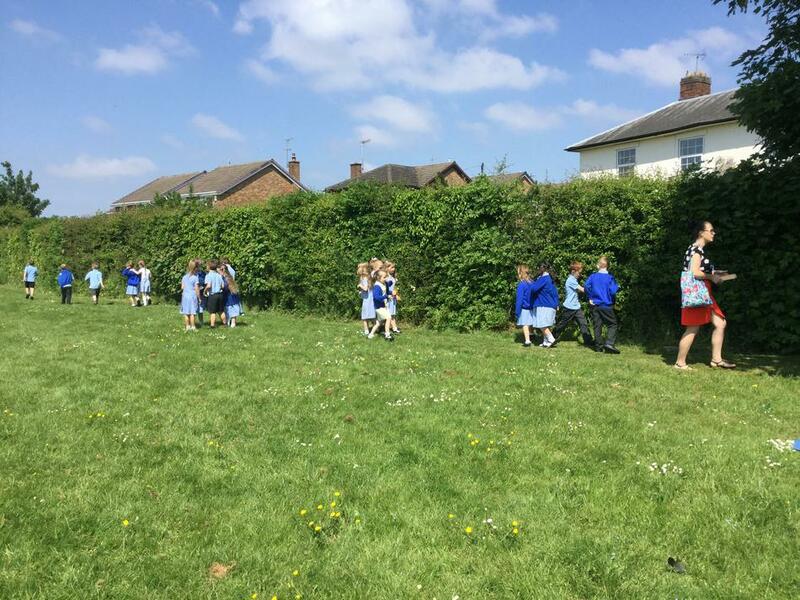 Mary pleaded with the Year 1 children to help her find him. 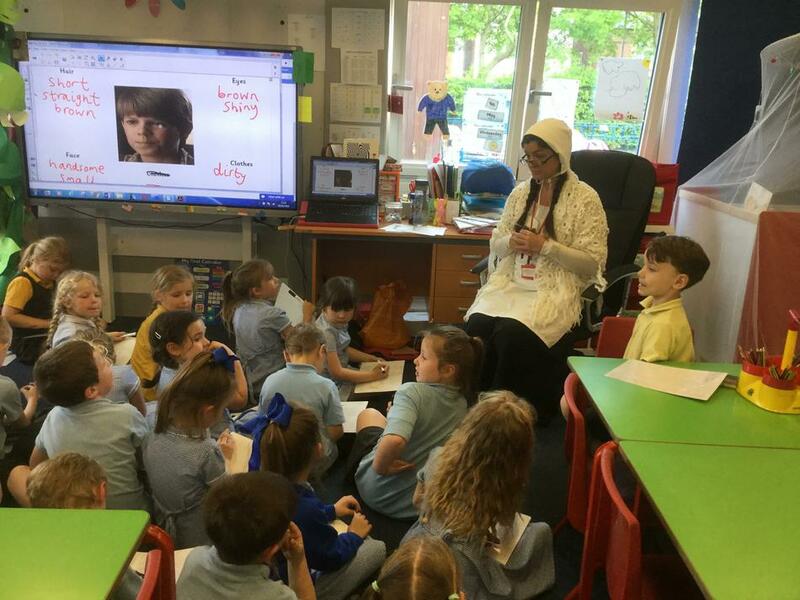 Since we have become very proficient at using adjectives in our descriptive writing, we decided to help Mary by writing a character description of Jack. 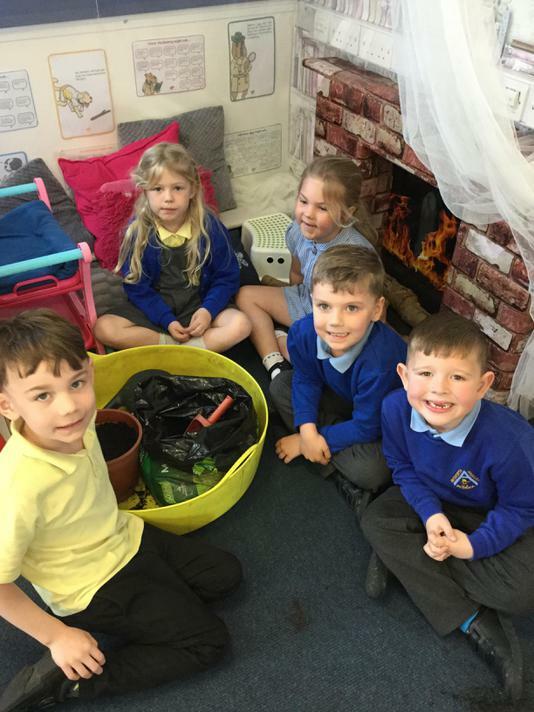 The Year 1 children also came up with the idea of creating a 'Missing Poster' for Jack as we had such great success in finding Toby when he went missing during the Great Fire of London. 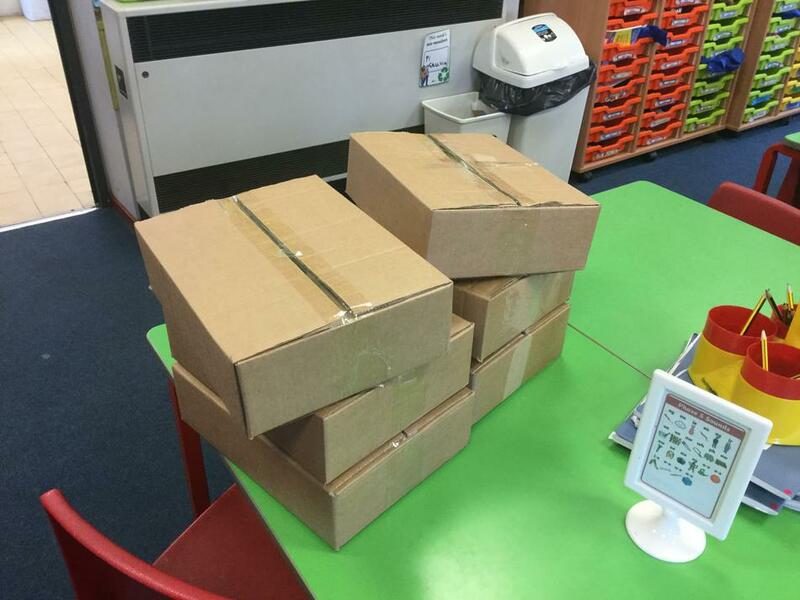 Look out for the posters on The Lane and if you spot Jack, please let the school office know as soon as possible. 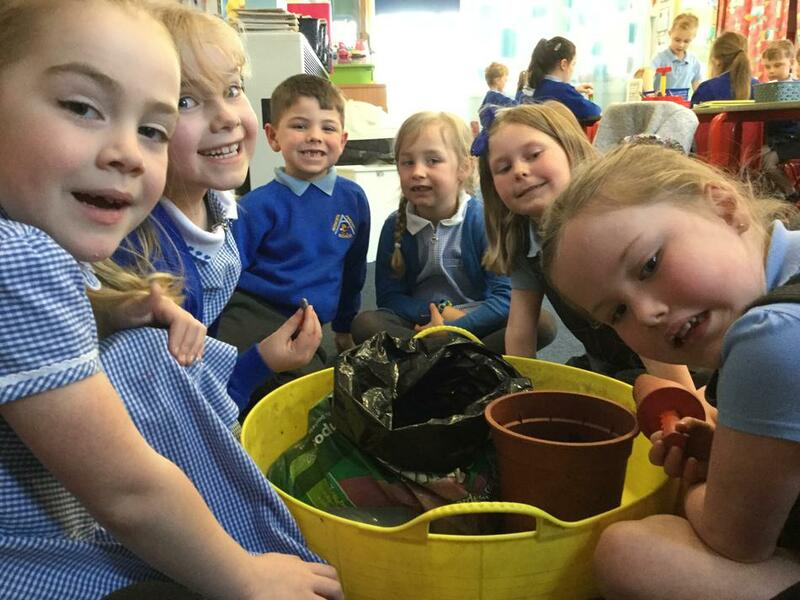 Jack and the Beanstalk: Further Adventures! 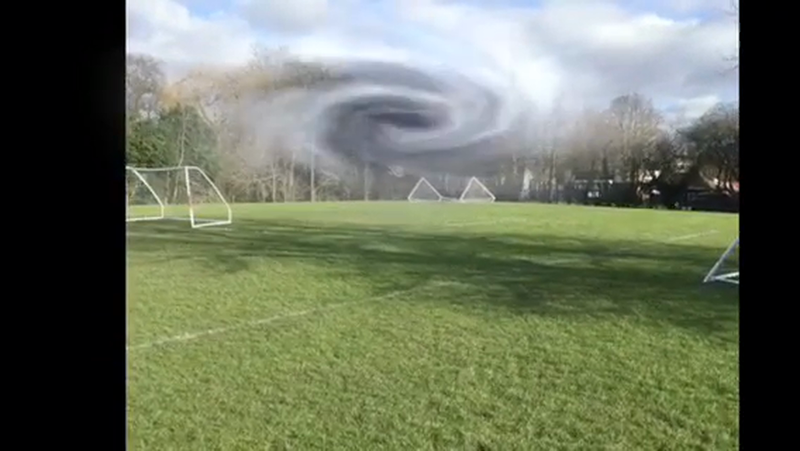 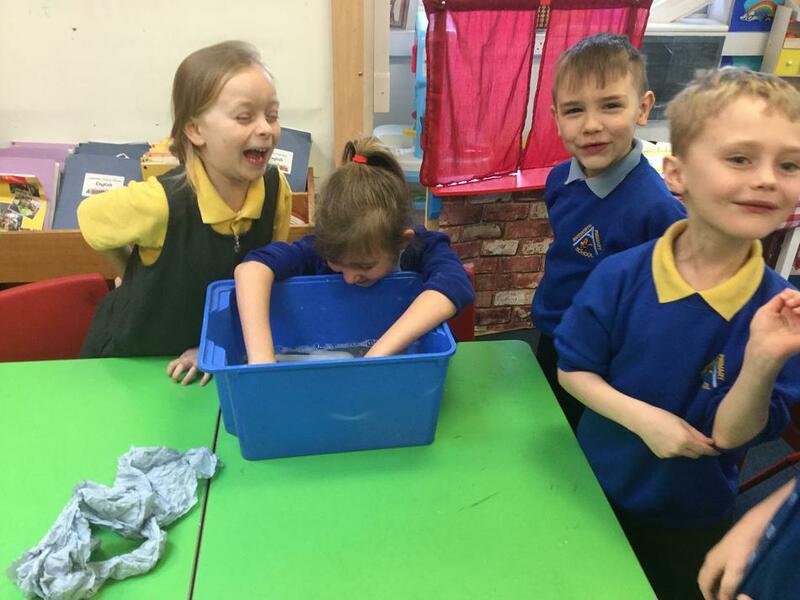 We couldn’t believe our eyes! 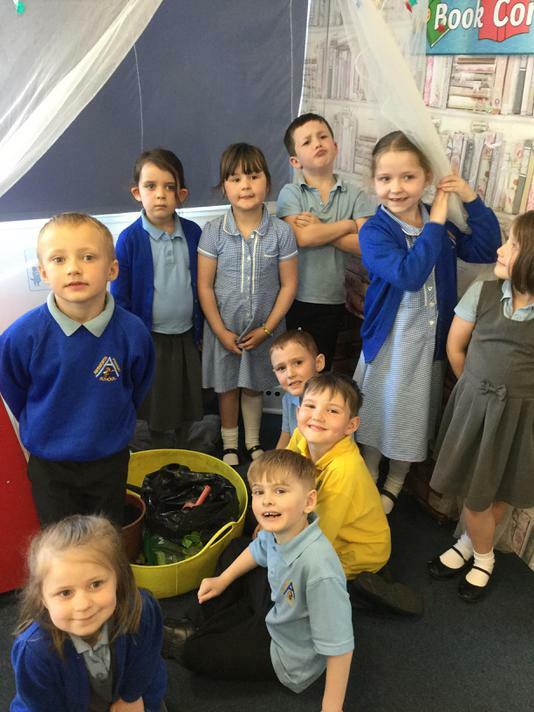 A beanstalk has grown over night! 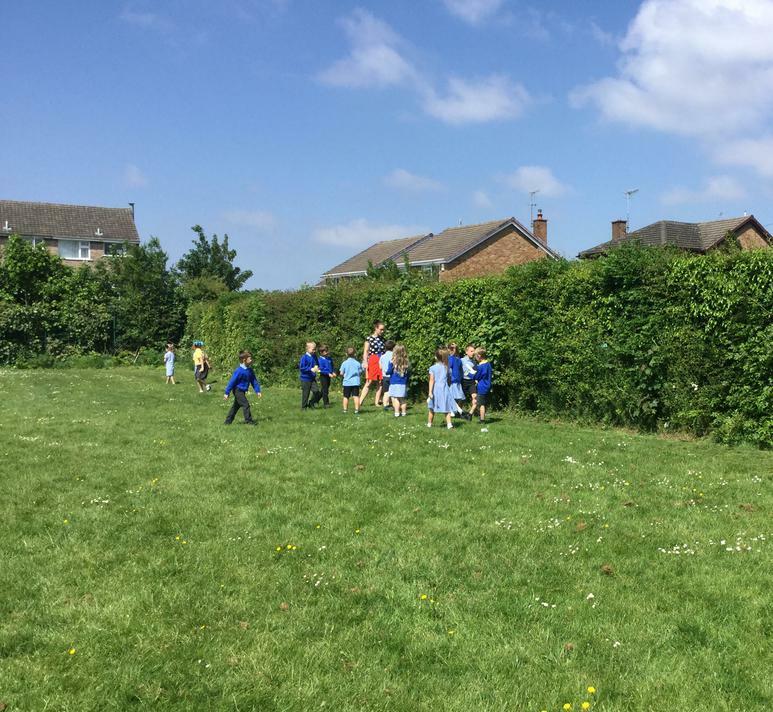 Where an earth does it lead to? 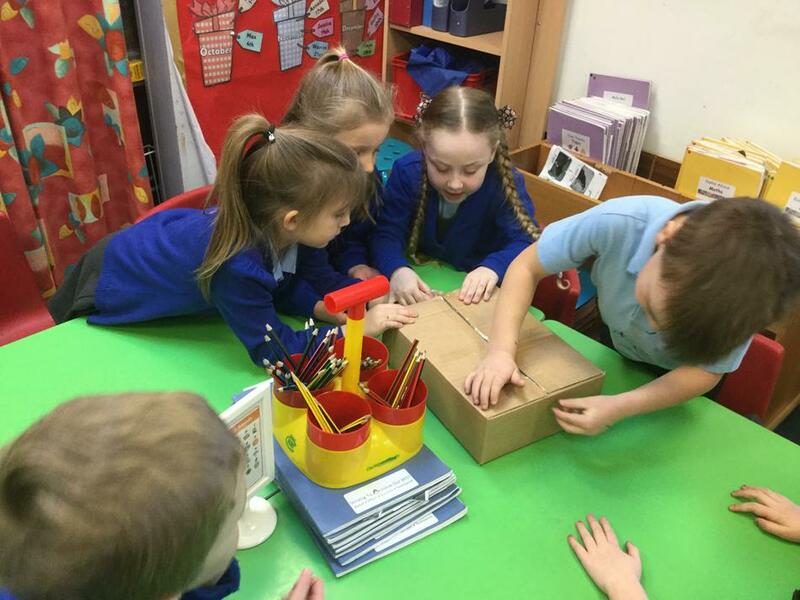 And what could possibly be at the top...? 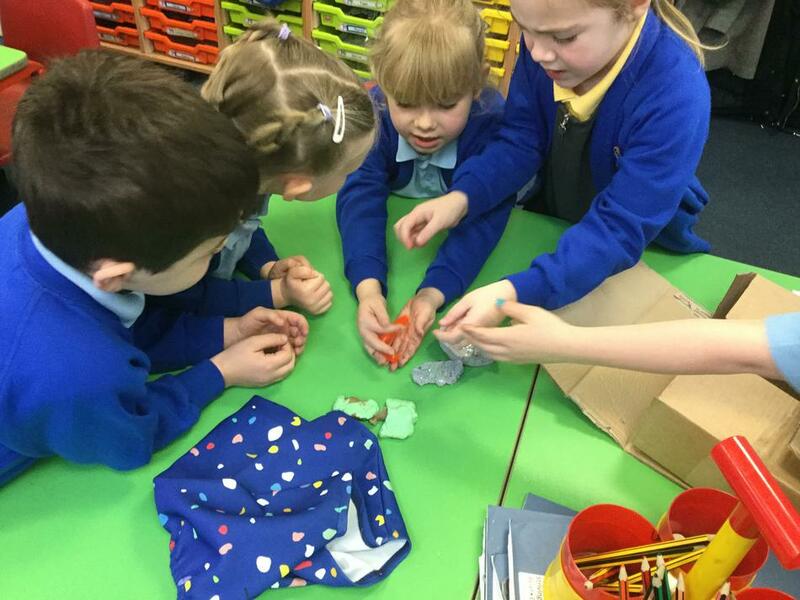 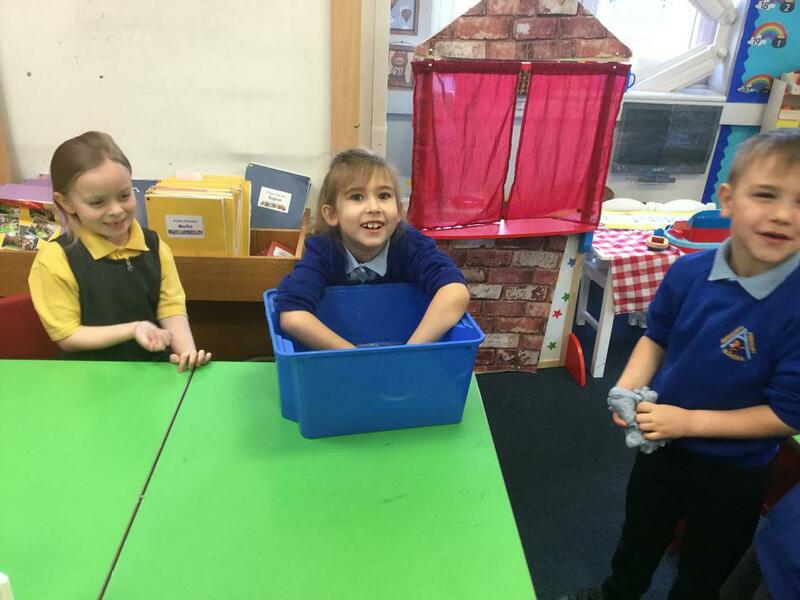 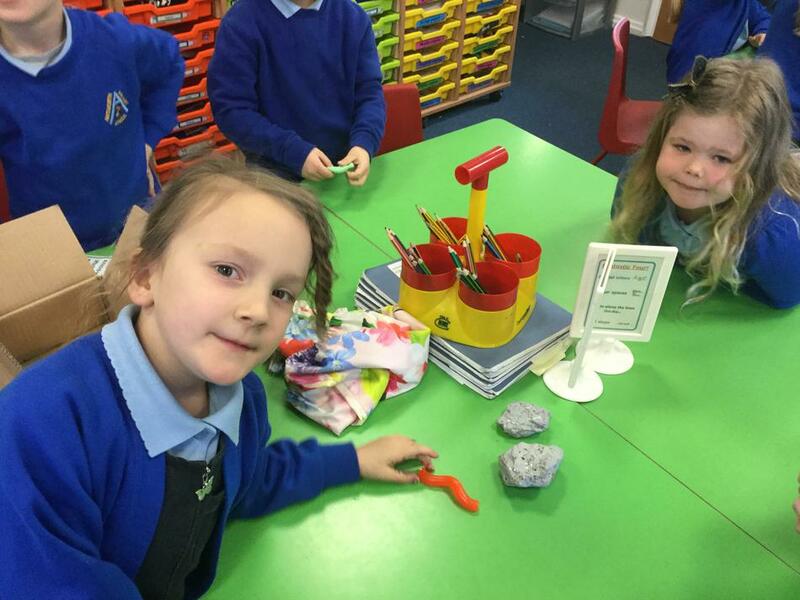 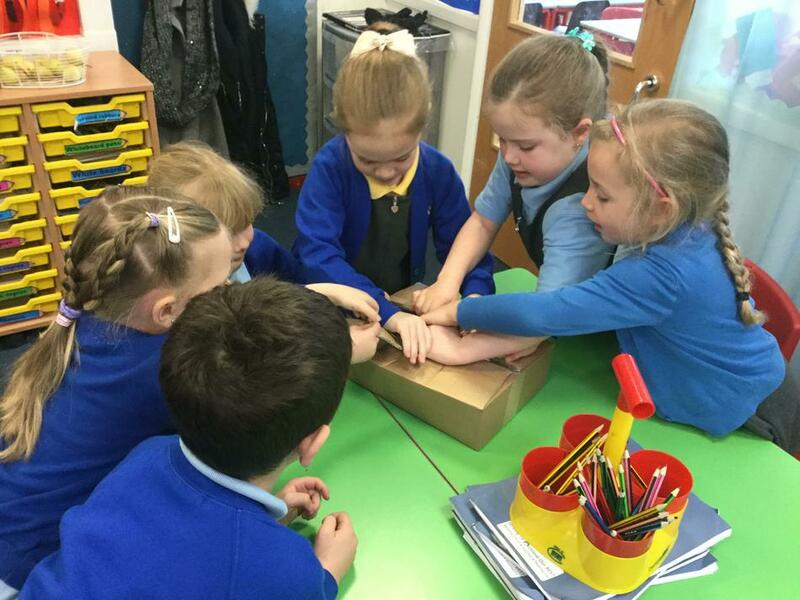 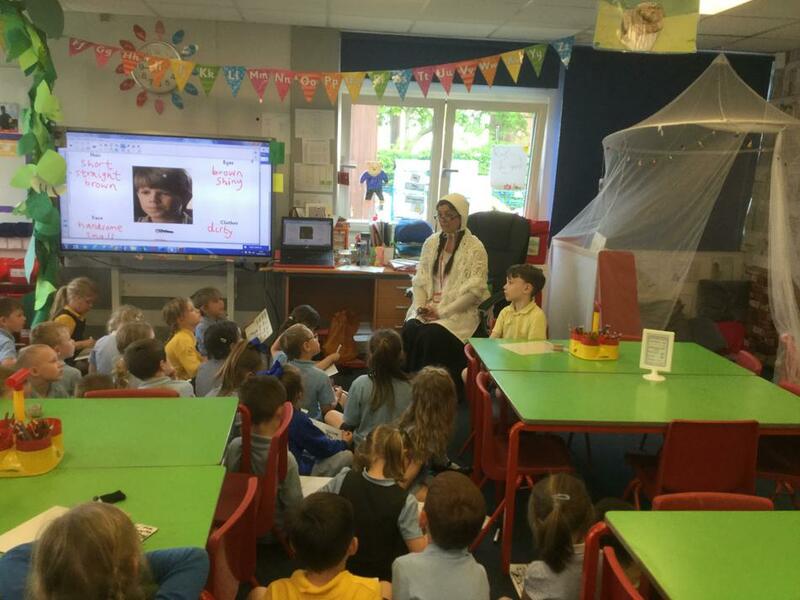 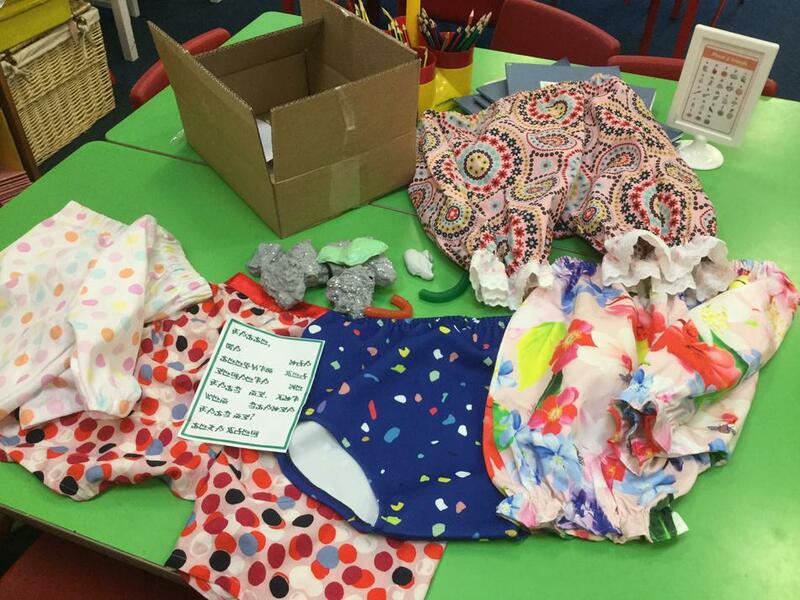 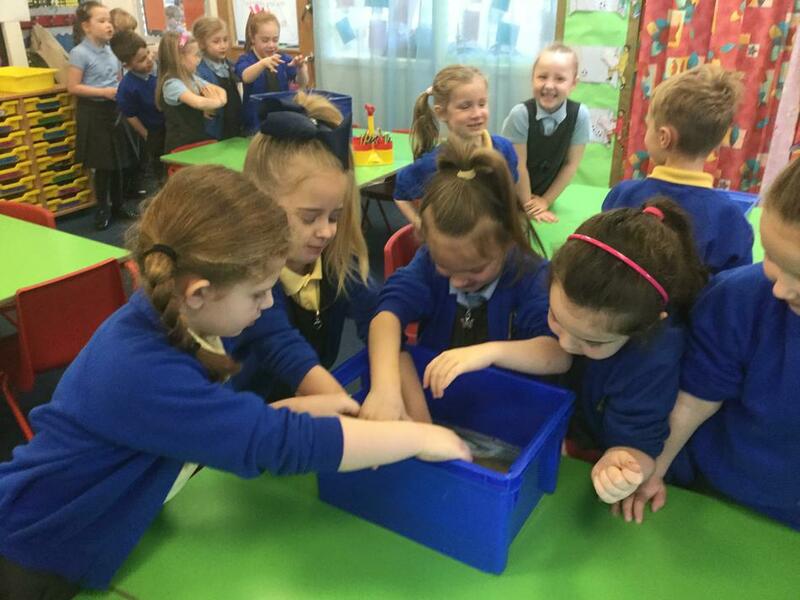 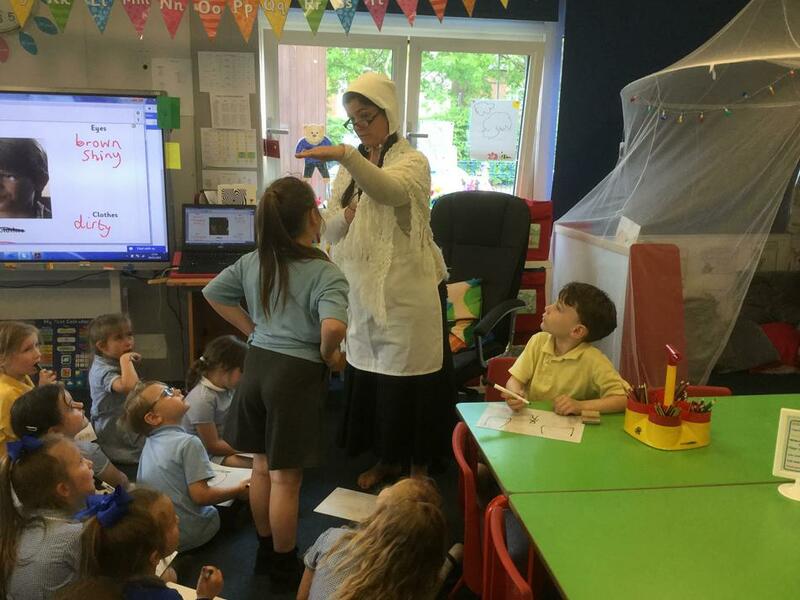 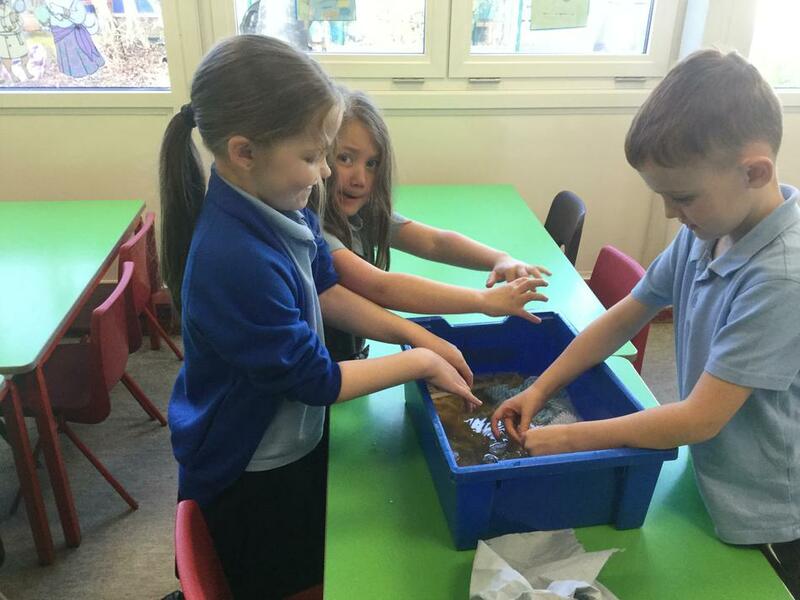 There have been some strange happenings going on in the Year 1 classroom this week. 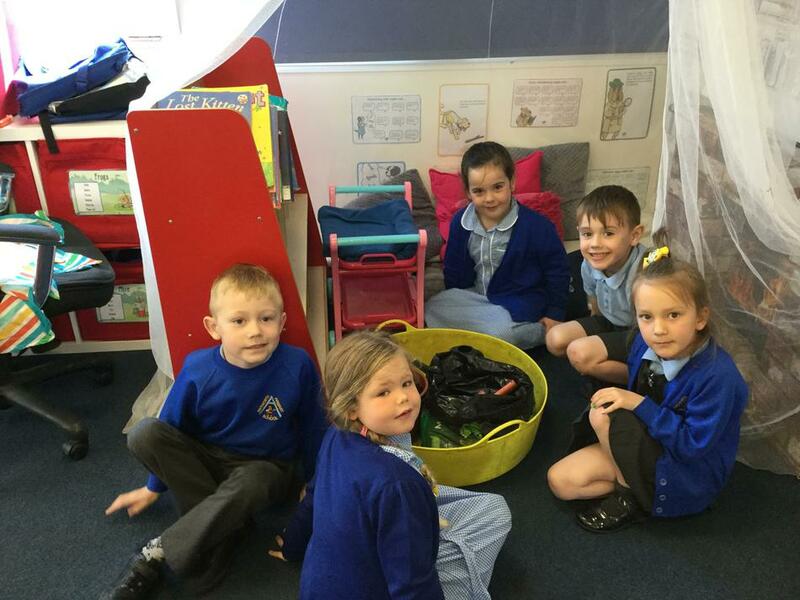 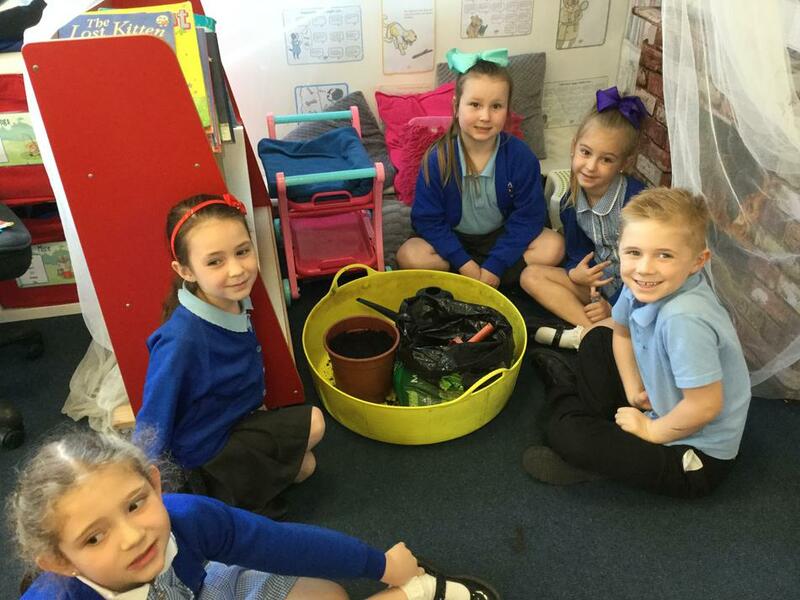 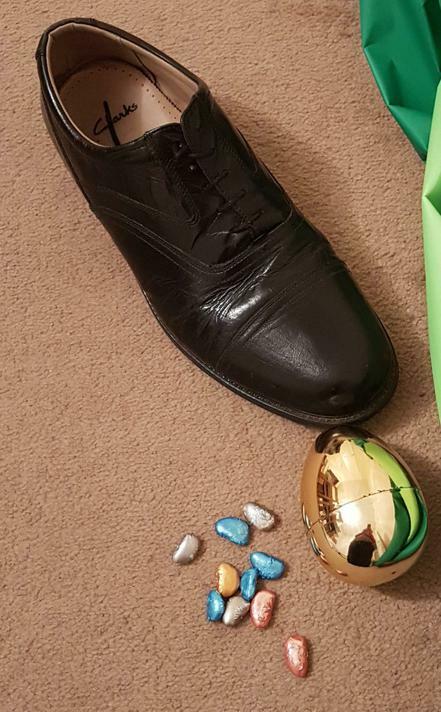 We found a HUGE black shoe, a golden egg and some mysterious coloured beans. 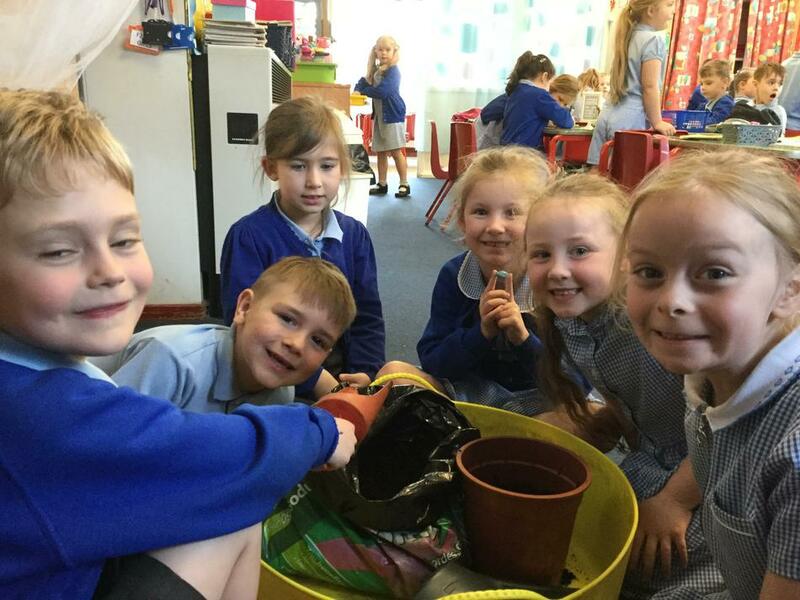 We decided to plant the beans in an old pot that we found in the greenhouse. 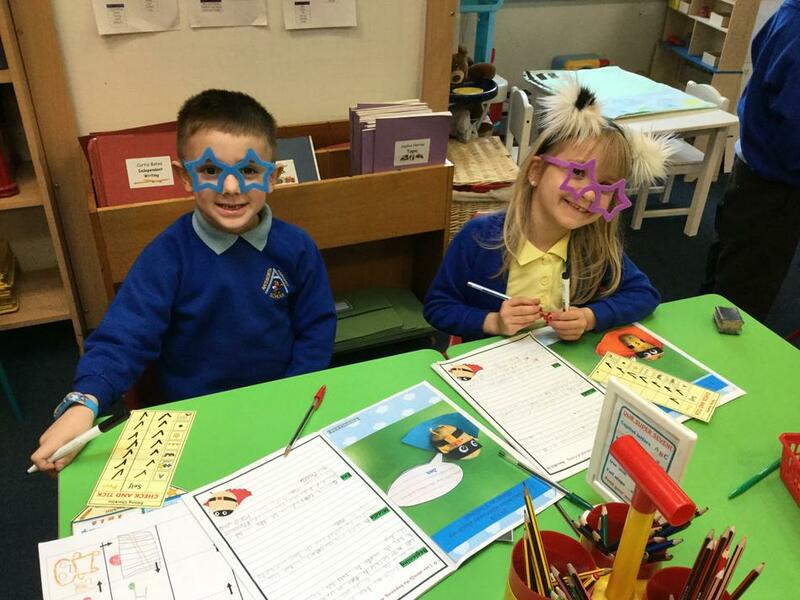 This week Year 1s have been looking at story settings from the book, Traction Man. 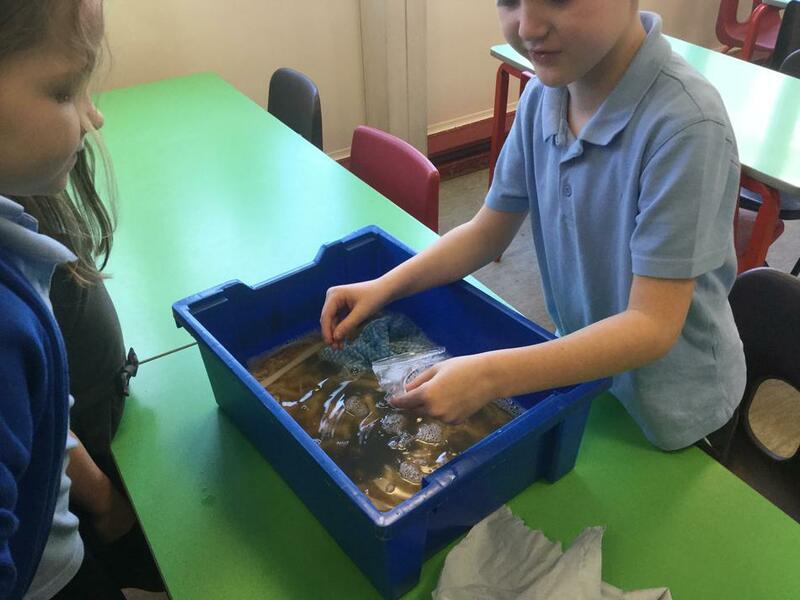 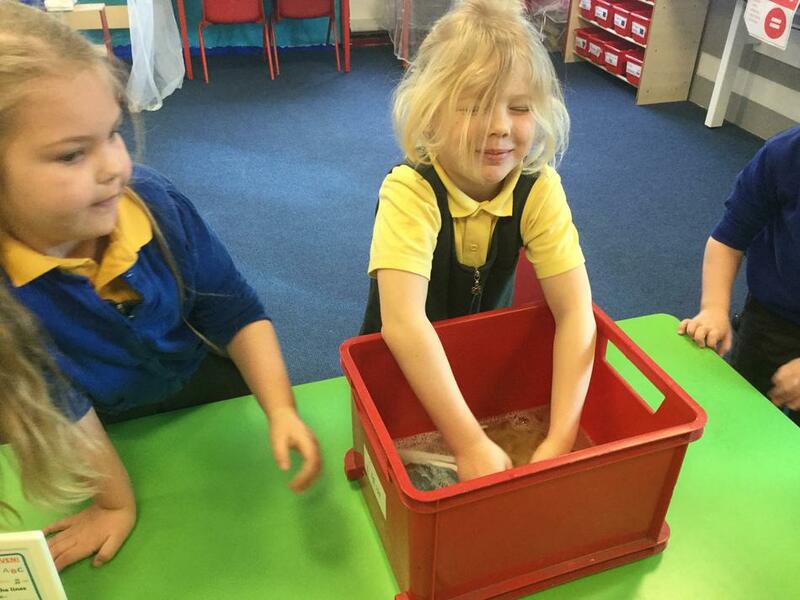 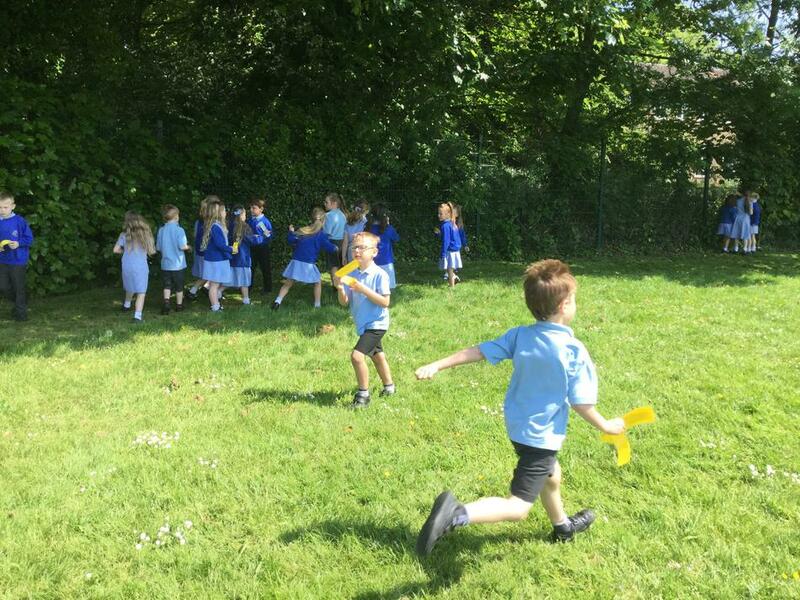 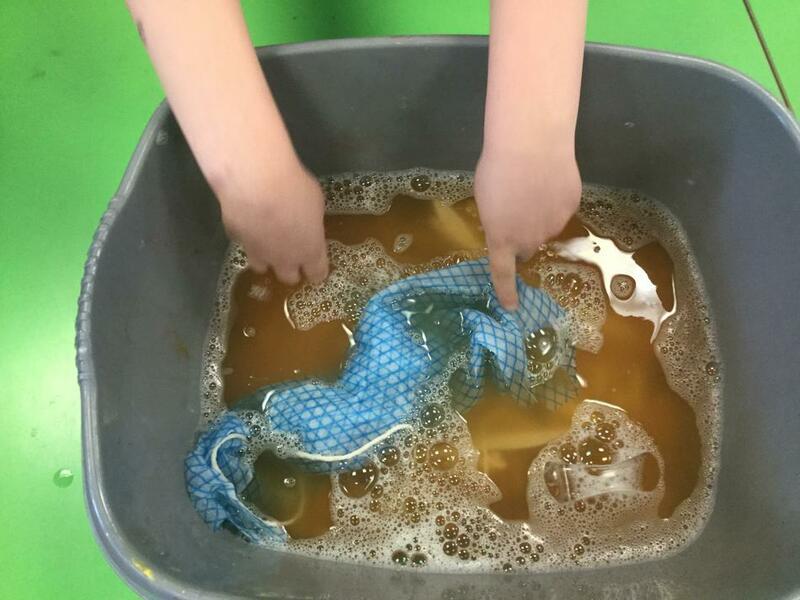 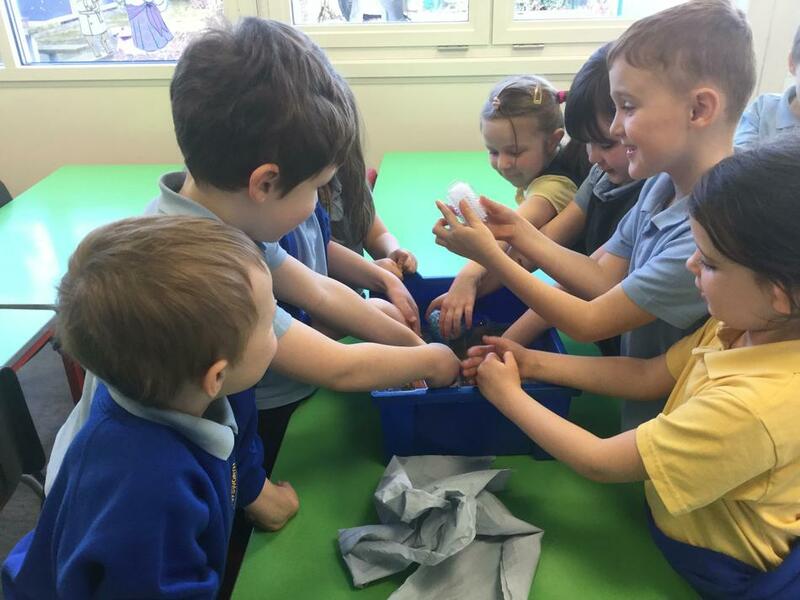 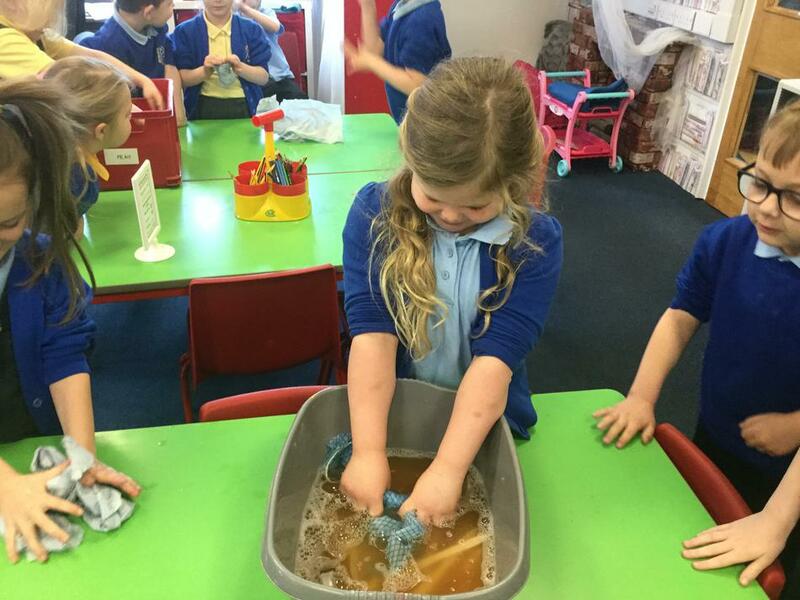 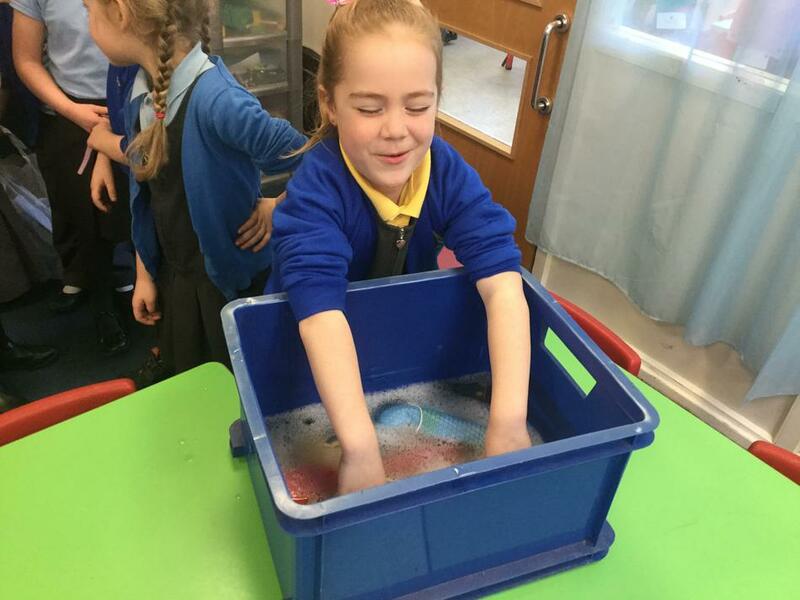 We recreated the 'sink scene' from the book and the children imagined that they were Traction Man in the washing up water and were being attacked by Evil Dishcloth! 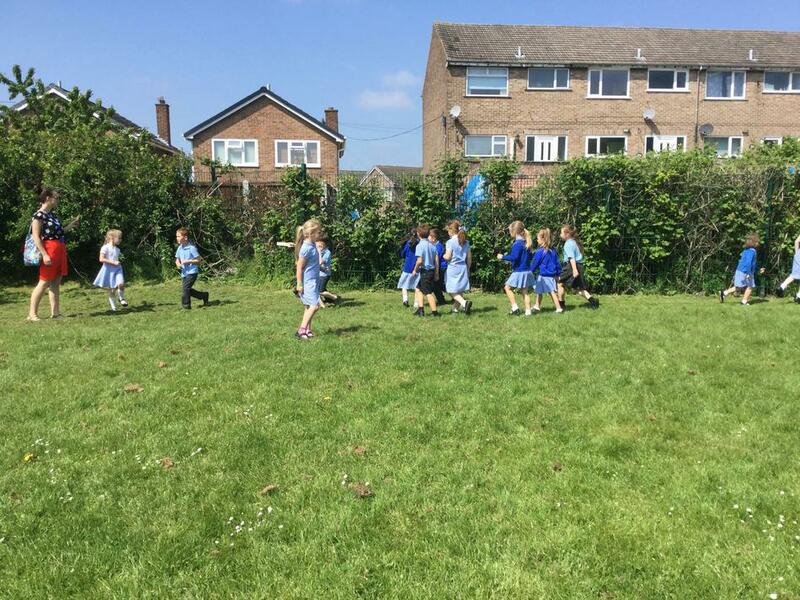 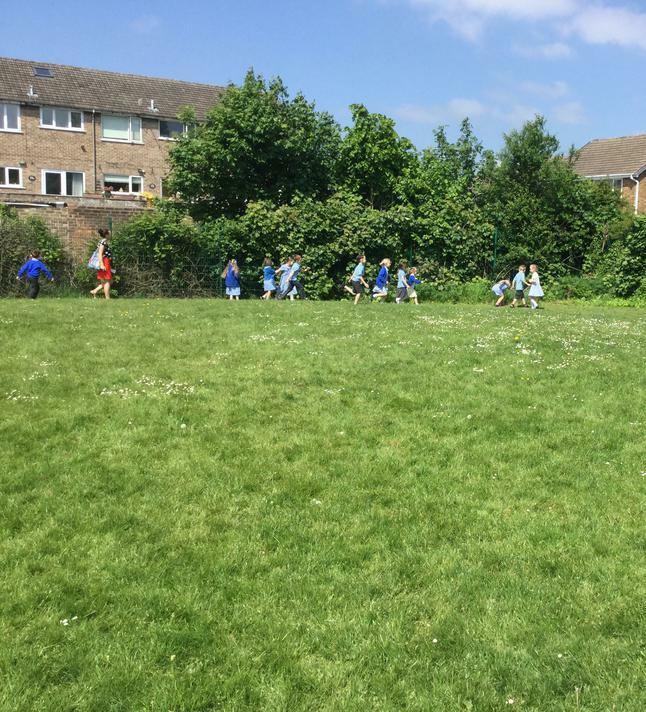 We had lots of fun, as you can see from the photos, and the children came up with some AMAZING adjectives to describe the setting. 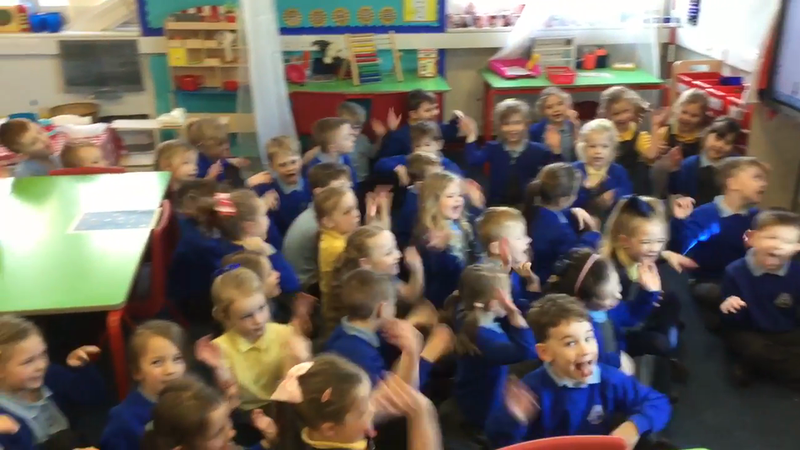 Check out our new class favourite song about adjectives, which reminds us how and where to use them! 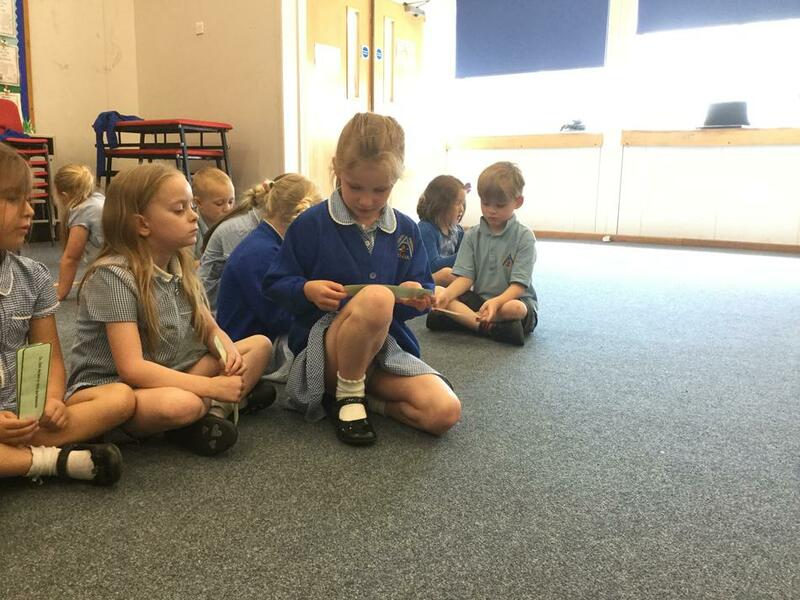 This term, we have been using Pie Corbett's 'Talk for Writing' to help us with our written story telling. 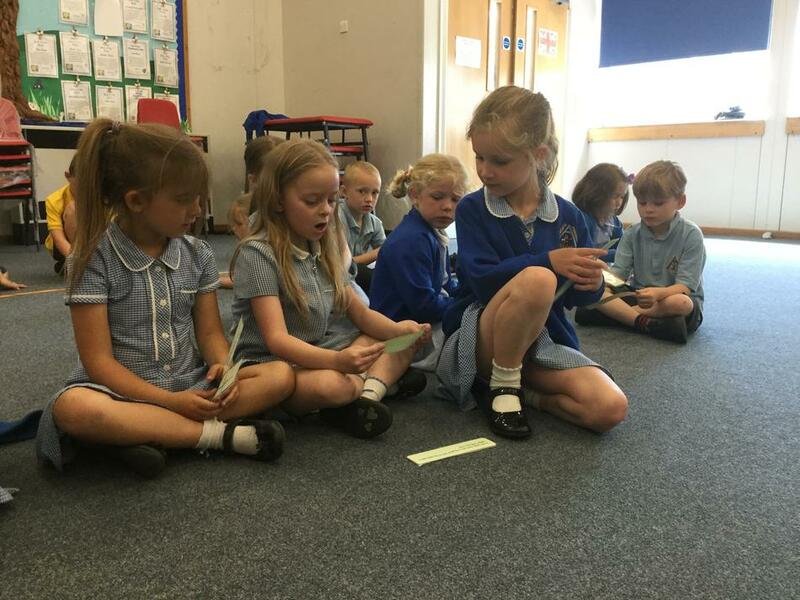 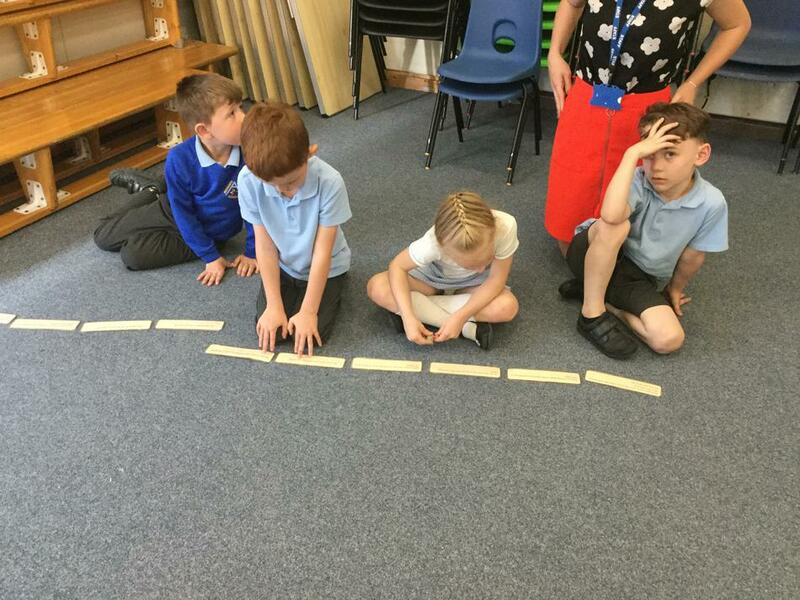 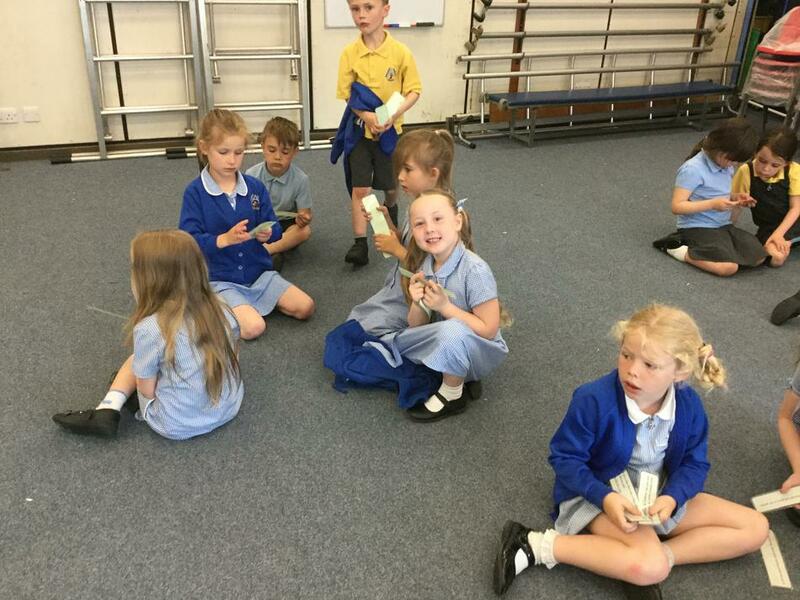 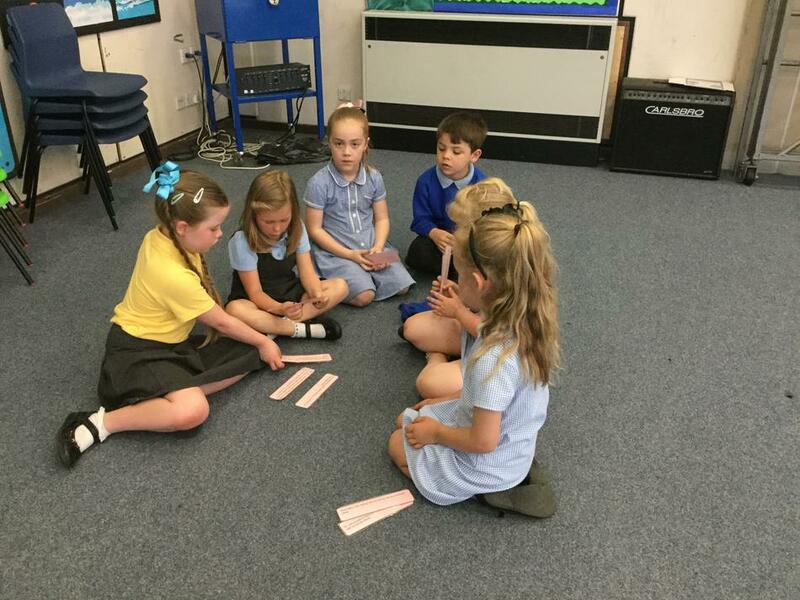 The children have learnt actions to help them remember the story. 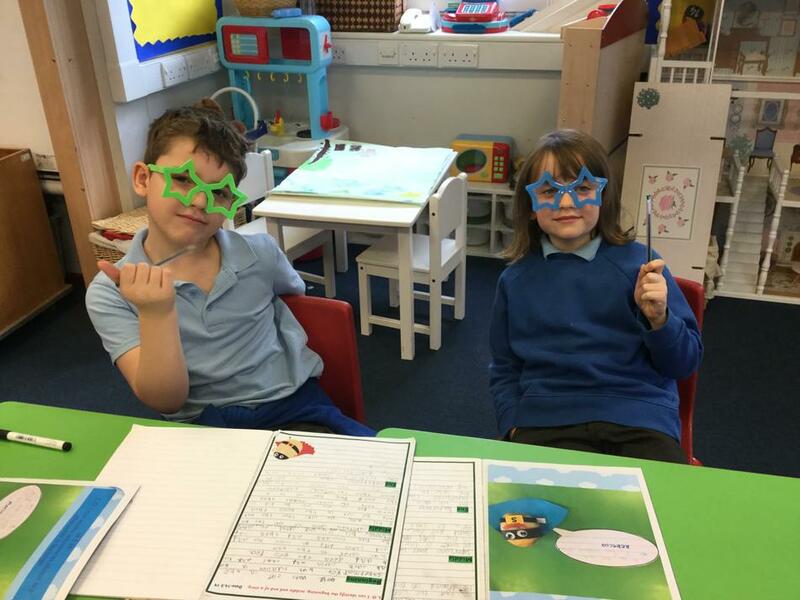 This has resulted in some AMAZING written work and I am very proud of all the children's efforts. 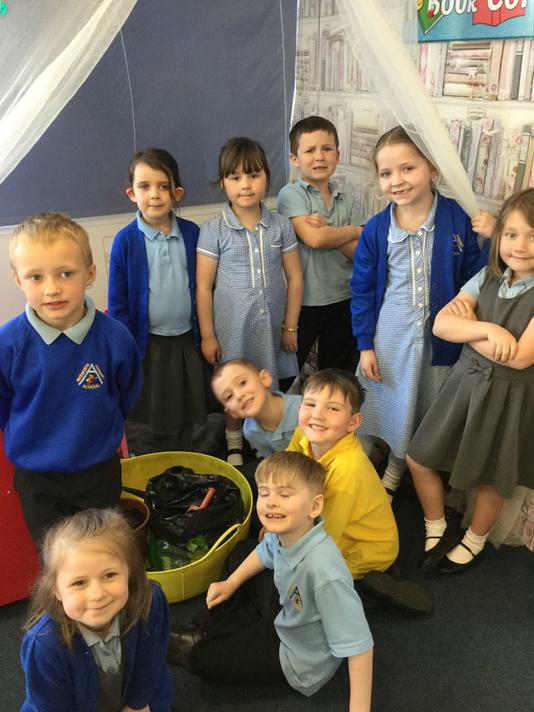 Well done Year 1s. 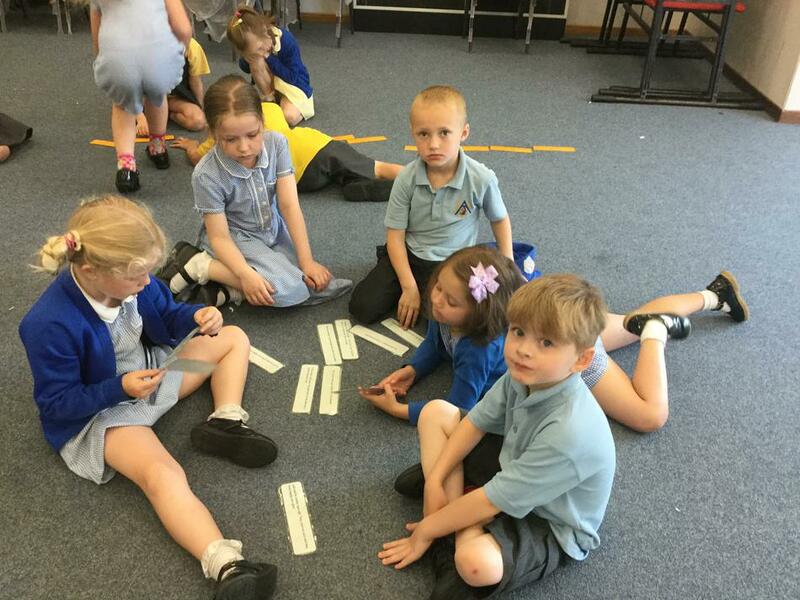 Here we are using 'Talk for Writing' to re-tell the story of Aliens Love Underpants! 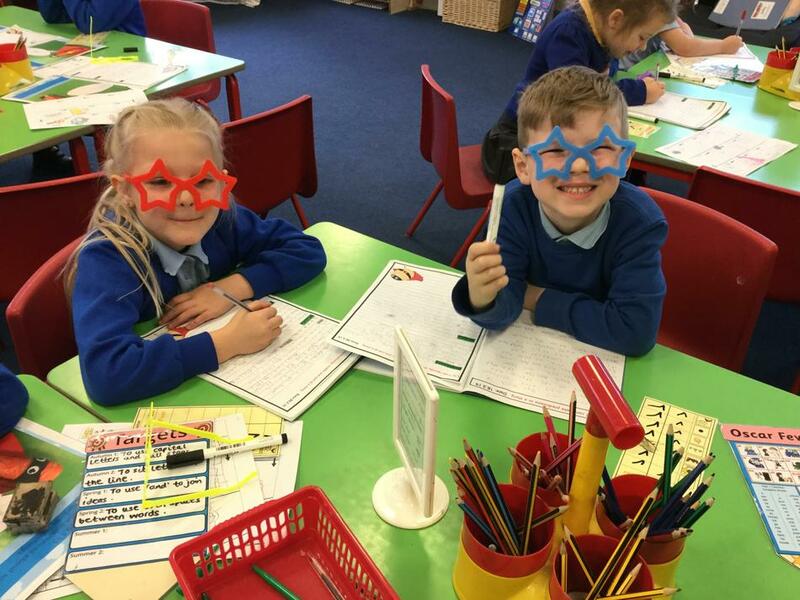 This week the children have been learning to use 'wh' words and question marks to form questions. 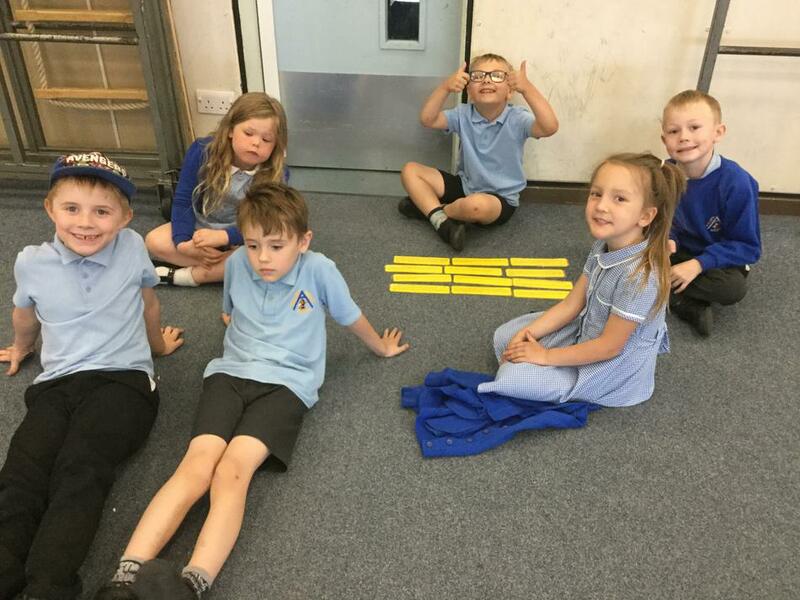 We have been singing along to this song to help us!